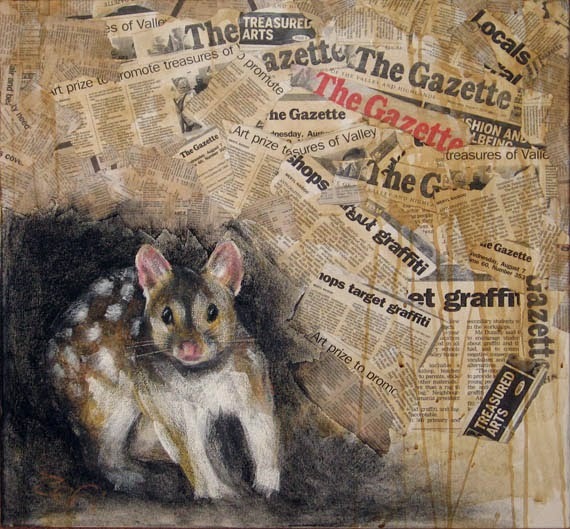 I mentioned that I’d entered 2 paintings in the Derwent Valley Regional Arts competition. The theme was “Hidden Treasures of the Derwent Valley”. 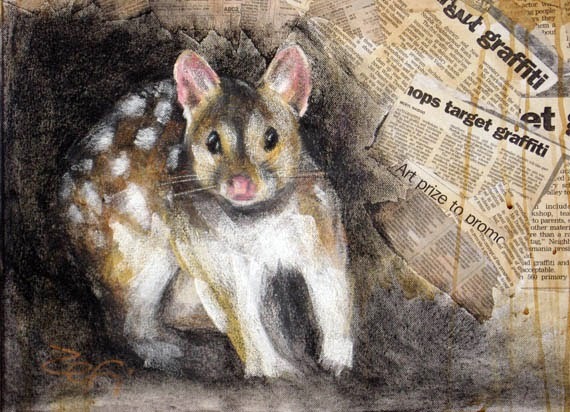 One of the works I entered was a mixed media on canvas of an eastern quoll. I love those little guys and it just kills me to see them lying dead on the roads on my way to work in the mornings. I used the local paper, pastel and charcoal, glue and coffee. Talk about working outside my comfort zone! 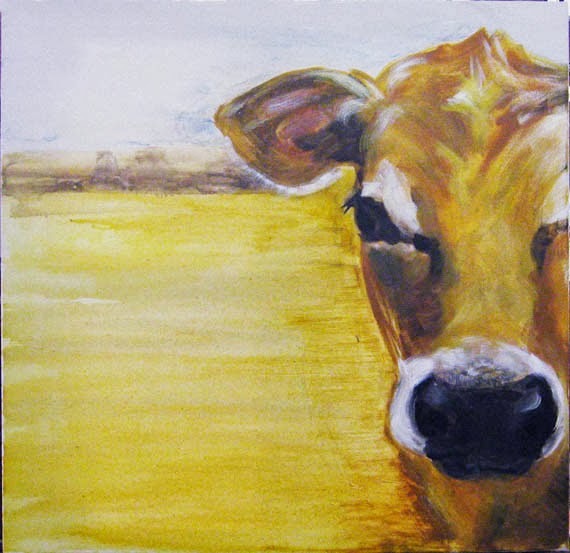 The other one I entered was acrylic on canvas – much more ‘normal’ even though I used the acrylic like watercolour on the background. Its a much freer painting than my usual work. I successfully resisted the urge to overwork it. 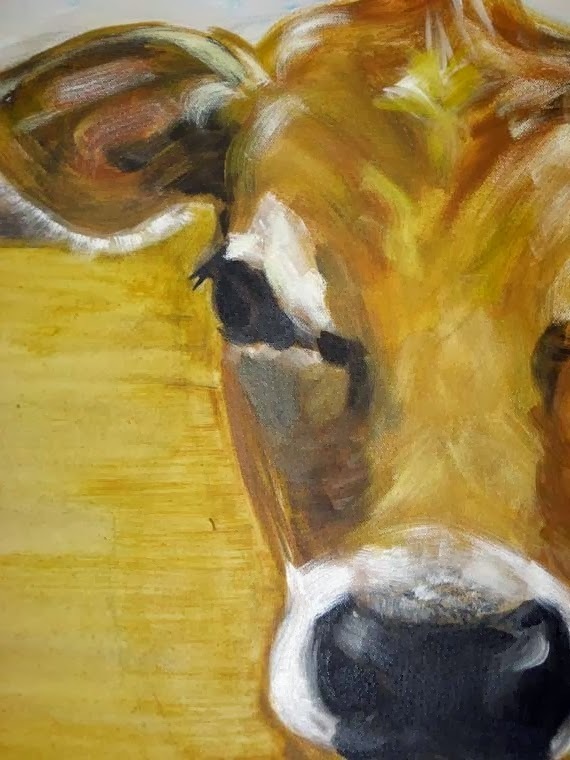 The cow didn’t do that well, but the possum won 2nd prize in Mixed Media. That’s something to be pleased about! Especially how I’d been feeling about my art lately. Guess I’ll keep doing it. Love them both! Congrats on winning a prize.